The police have accepted the complaint of the local inhabitants, but they acted on the basis of simple gossip. Some religious texts were also seized. Sajan K George: "The state has become the repository of anti-Christian intolerance". 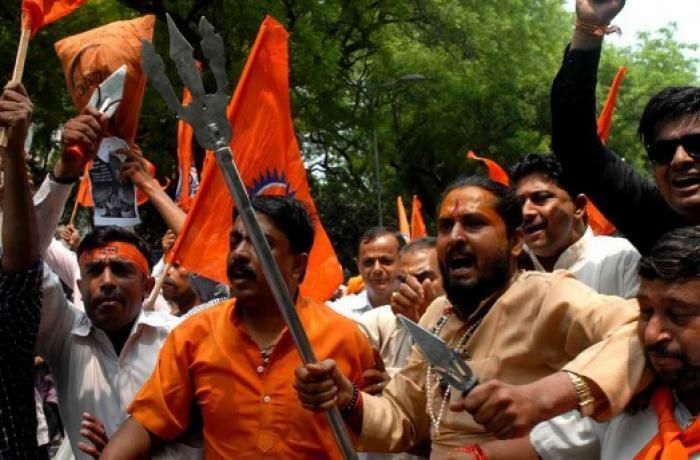 Mumbai (AsiaNews) - In Uttar Pradesh three Pentecostal Christians have been arrested on false charges of forced conversions. The arrest took place on October 5th on the basis of mere gossip. The arrested are: Kripashankar, Vijay Prajapati and Ram Dulare Ram. Speaking to AsiaNews Sajan K George, president of the Global Council of Indian Christians (GCIC), laments "a surge in incidents against Christians in Uttar Pradesh. The police acted on the basis of simple rumors. He also confiscated religious texts and other books concerning the Christian community ". The case took place in the village of Abu Saidpur and was registered in the Nizamabad police station. The plaintiffs filed a complaint against the prayer meetings that took place at the home of Ram Dulare Ram, one of the detained Pentecostals. According to the population, there were forced conversions of men and women in the Christian's house, who were enticed by reading the sacred texts. Sajan K George denounces an "impetuous increase in episodes against Christians: arrested pastors, interrupted religious meetings and terrified faithful. [Uttar Pradesh] has become the repository of anti-Christian intolerance ". The activist noted that it is also growing "surveillance of prayer meetings by radicals, who enjoy the complicity of the police." Christians in India, he concludes, "represent a tiny minority of 2.3%. Pentecostals, who meet in small houses, are the most vulnerable group, because they are charged on the basis of mere suspicion. "